Baseball, take a dugout curtain call. Hockey, throw your sticks in the air. Soccer, you need a team meeting and a pep talk. 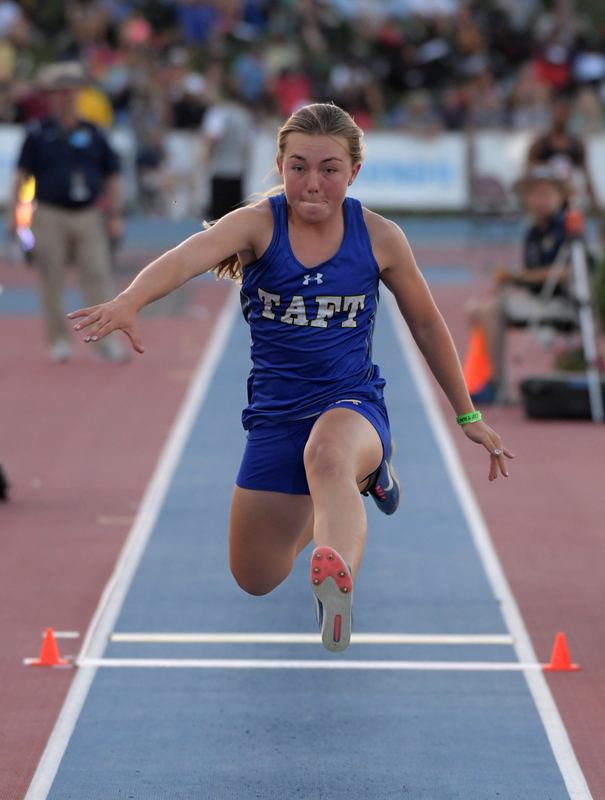 A snapshot of U.S. youth sports in 2018 reveals that the industry has some bright spots but is struggling to overcome a variety of challenges, including the growth of pricey travel sports, an early focus on sports specialization and inadequate school physical education programs. Research compiled by the Sports & Fitness Industry Association (SFIA) and released in a new report from the Aspen Institute’s Project Play reveals that overall youth participation rates are rising. Despite the good news, however, the key metric of core participants still has not recovered from the Great Recession, which dragged down the number of participating children, particularly those whose parents can’t pony up for travel teams. entry than their well-off counterparts. The good news is that 56.5 percent of kids played a team sport at least once in 2017, the highest rate in the past six years. Baseball, basketball, ice hockey, field hockey and wrestling have grown their participation, while soccer has seen a major drop. Volleyball and track also are doing better. Some sports are seeing participation growth thanks to concerted efforts to increase accessibility to the sport itself. Baseball is showing stronger numbers because of a boost from Major League Baseball’s Play Ball program, which gives players a chance to hit, catch and slide without having to join leagues. This approach involves “just giving kids a chance to touch the fun of baseball,” said Tom Cove, SFIA’s president and CEO. USA Baseball’s Fun at Bat program for PE classes has also boosted participation, he said. 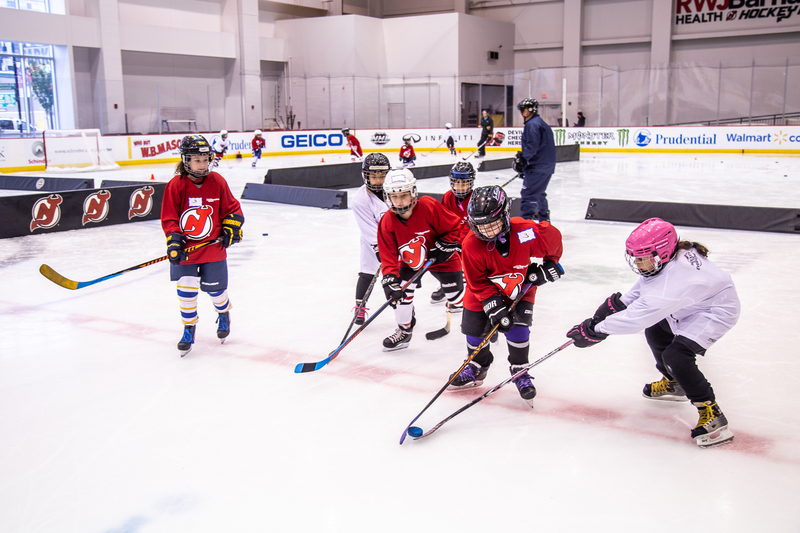 USA Hockey credits its use of the American Development Model for boosting participation rates among 8-and-under players. The organization recently announced it set a single-season 8U participation record in 2017–2018, breaking the record for the third consecutive season for that age group. The ADM method stresses age-appropriate training. In USA Hockey’s case, that involves configuring the playing surface either cross-ice (sideways on the rink) or half-ice (half of the rink). “Right-sizing” the rink and playing six-on-six or four-on-four, which increases the number of puck-touches and shots on goal, has really paid off in the 8U bracket. “We focused on that age group and then tried to take away the barriers to entry of costs and the time commitment,” said Pat Kelleher, USA Hockey’s executive director. The shorter rink is “more conducive to helping kids develop, get better, learn the game and hopefully love it,” he added. USA Hockey also works with the NHL and NHLPA in the Learn to Play program, which offers kids in NHL markets the gear they need and six to eight weeks of training for $150. The price of playing has particularly hurt American youth soccer, which has seen a decrease in participation among 6- to 12-year-olds from 10.4 percent in 2008 to 7.7 percent in 2017, according to SFIA. The culture of pick-up play that flourishes internationally has been overwhelmed by expensive travel teams. In 2016, U.S. Soccer also changed from a school-year to a calendar-year basis for age grouping of teams, which had an impact on participation. “They had good reason for it, because that’s what the rest of the world does,” Cove said. However, “what that meant was they broke up a lot of teams that had been formed around schools and around friends.” The result, it appears, was a decline in participation. There are troubling trends even beyond the world of soccer. For instance, even though more kids are playing team sports, most of the participation increase has come from kids in upper-income brackets. In the past three years, fewer children in families with incomes lower than $49,000 are playing sports than children in higher-income families. This state of affairs worries experts like Jim Baugh, who launched PHIT (Personal Health Investment Today) America in 2013 to address America’s obesity crisis and related health issues. In August, PHIT released its “Inactivity Pandemic” report, which claims that 7 percent of American children don’t meet the U.S. Centers for Disease Control and Prevention’s physical activity standards, and that the number of 6- to 12-year-olds who are active three times per week has decreased nearly 15 percent in the last five years. Furthermore, the number of core participants in youth sports—as distinguished from casual players—declined for the fifth straight year, from 43.1 percent in 2012 to 40.7 percent in 2017, PHIT said. The group makes nine recommendations, and the first three will help restore the health of both youngsters and the sports industry, according to Baugh. The report says that companies large and small should promote the benefits of sports and activity for the average participant; that leagues, sports networks and “fitness entertainment companies” should donate public service announcements promoting physical activity for the average person; and that big companies should forgo quarter-to-quarter financial planning to focus on the long-term needs of the industry. The fourth recommendation urges investment in physical education programs nationwide, noting that children who take PE are two to three times more likely to be active outside of school. Good Sports, a Massachusetts-based nonprofit that distributes donated sports equipment from manufacturers to schools nationwide, cites sports and physical-health studies showing that only six states now require PE in grades K-12. Furthermore, 48 percent of U.S. high schools have no PE programs. McIsaac singled out a high school in New York City as a successful example of how Good Sports operates. School officials wrote to the nonprofit that they had to use duct tape for their basketballs and soccer balls. “We came in and gave them new inflatables and a bunch of other equipment they could utilize,” he said. Further engagement from the private sector came this fall when Nike and the U.S. Olympic Committee launched a free online training site for volunteer youth coaches. Posted on the new site HowToCoachKids.org, the training courses cover more than 50 sports, from archery to wrestling. For example, an online 85-page baseball manual by USA Baseball covers topics such as coaching philosophy, off-season training, tryouts and financial management. Cove hopes the site will solve one issue bedeviling youth sports—the attrition rate of volunteer coaches. “At least 30 percent to 50 percent of the coaches who coach one year don’t come back,” he said. “It’s an incredible loss. That rate of retention has to improve.” Parents who improve at being coaches will have a more fruitful experience and be more likely to continue, according to Cove. Coach retention is just another challenge in the complex task of revitalizing youth sports in America, Cove said. Fostering free play, neighborhood play and local play—and linking that physical activity to a relationship with more formal sports—is also a goal. The plan also makes sense to industry players, Farrey said, though it will take an effort to implement. “The challenge is it’s such a new and out-there idea, it’s going to take a coalition of organizations to mobilize around it and then do the very hard work of lobbying on a state-by-state basis,” he said. Colorado has had success using its lottery proceeds to fund community recreation and sports, he noted.